BRUSSELS – When the Pentagon rolls out the National Defense Strategy on Jan. 19, expect a lot of statements about how it will serve as a definitive document, one that will guide the Pentagon for years to come. But the Pentagon has a reputation as a building filled with well-intentioned, game-changing documents that are delivered and then ignored. So, will this strategy be different? Certainly, those involved in the planning are hopeful. In December, Deputy Secretary of Defense Patrick Shanahan said the Jim Mattis-led team running the Pentagon is dedicated to keeping the document vital. Asked Jan. 15 in Brussels why he thinks this NDS will be relevant where other strategy documents have faded into the background, Gen. Joe Dunford, the chairman of the Joint Chiefs of Staff, pointed to two things. The first was the collaborative nature of how the NDS was put together, which included several meetings with the Joint Chiefs and a back and forth with the joint staff. The second reason to trust this NDS will matter? To Dunford, it comes down to the presence from Mattis himself. While Mattis has an undeniably strong personality, analysts question just how much the NDS can impact policy or operations without clear funding support behind it – especially given that the document will roll out the same day lawmakers must scramble to keep the government funded. Todd Harrison, a defense budget expert with the Center for Strategic and International Studies, warned that “a strategy that is set without regard for resource constraint is a strategy that risks being unexecutable” in practice. “If it’s just a lot of words on a page and it doesn’t have numbers, saying ‘this is what it will cost and this is what we’re able to do’, and ‘this is how we will pay for it,’ it will leave a lot wanting,” he added. In December, Shanahan said the strategy document will be the foundation of the fiscal year 2020 budget request, with the strategy “firmly planted on the hill in front of our brains” when looking at where to invest funding. But he also said that the timing of the defense strategy is such that the FY19 budget will only be moderately impacted, something Kathleen Hicks, a former principal deputy undersecretary of defense for policy now also with CSIS, believes will limit the effectiveness of the entire NDS. “If they wait for ’20 to sort of be the major thrust of their strategy, that’s going to be their only year. That’s the problem for them,” Hicks said. “Because then the next team gets to play with that, whomever it is. Loren DeJonge Schulman, a former Defense Department and National Security Council staffer now with the Center for a New American Security, says to expect “a lot of continuity from past strategies” in the document. Any real differences, she believes, will require clear-eyed choices about what can and cannot be done. Dunford demurred when asked specifically if there were any topics to look for as focus areas in the document, but did say the strategy should serve as a clear look at where Mattis wants the department to go during his time as secretary. “I think the secretary’s articulation of his priorities would be the number-one thing, you know, that will come out. And I think as just you’d expect, you all have been around Secretary Mattis, I think the document will be fairly clear on what his priorities are. And that would be definitely a thing to look at,” the chairman said. 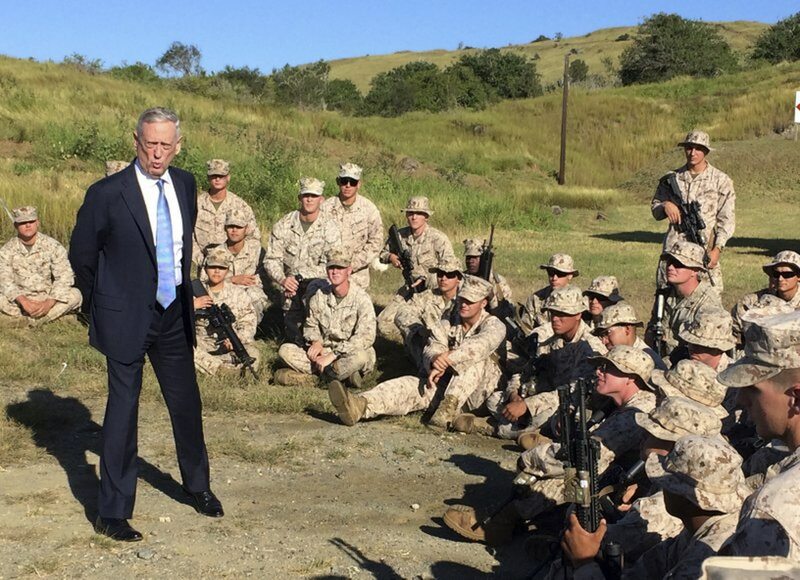 That likely means some version of Mattis’ three stated priorities – strengthening allies and partners, increasing lethality for the warfighter and reforming the business practices of the Pentagon – will be featured in the strategy document. However, given the number of major issues facing the country, along with the budget constraints, means that “Mattis, Shanahan, and their OSD team would do well to consider a serious implementation effort that doesn’t just trust elements of DoD to read and execute,” Schulman said. Hicks also expects more details about funding in the classified portion of the document, but warned that hard numbers likely won’t be found there, but instead come out of further discussions on the Hill.